Located in Manheim, PA, Randy Bauman has been performing paintless dent repair for over 26 years. Over these many years he has repaired a variety of damaged sheet metal ranging from passenger cars, trucks and SUV’s to Peterbilt trucks and motorcycles. Randy approaches every repair acknowledging that it is essentially his “business card”. 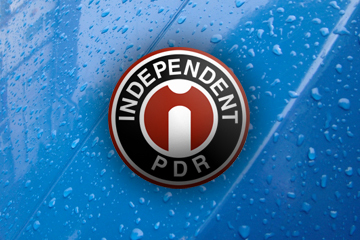 Be aware that not all PDR technicians are equal in their ability to perform a successful repair. Many are shown the basic techniques but do not possess the patience, experience and skill to complete consistent, quality repairs. And, as with most skills in life, experience is critical to one’s success.